Wow – where has February gone? I want to welcome March with a bang. The beautiful bride and groom married in Houston during October 2009 with coordination by the super fantastic Rebecca Hackl. 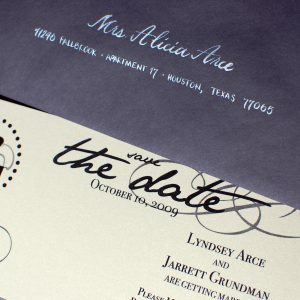 Their stationery was some of my favorite, By Invitation Only designed everything and I matched the fonts. 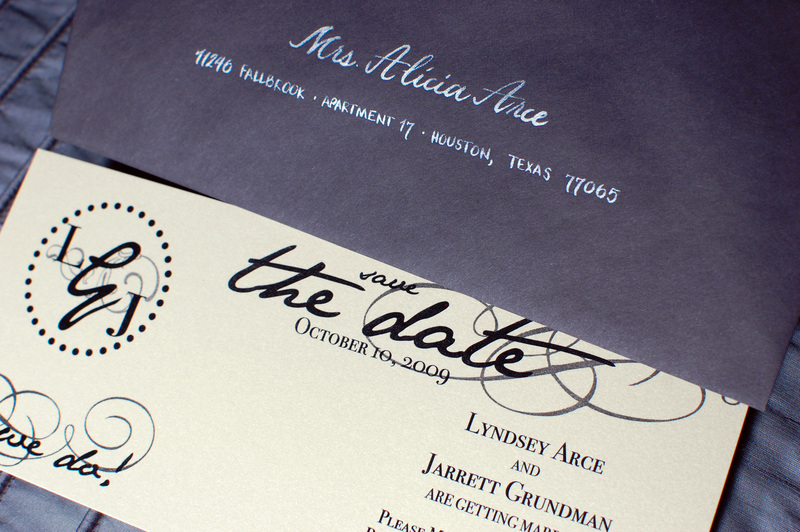 The save the dates were a lovely shimmer so we used silver ink on black envelopes with a mixed style of Jane and all Capitals for a little spice. Love this font, look for more of it in the next few weeks!The invitations used the lovely chandelier theme to reflect the elegance of the venue – Hotel ZaZa. We matched fonts with black ink. 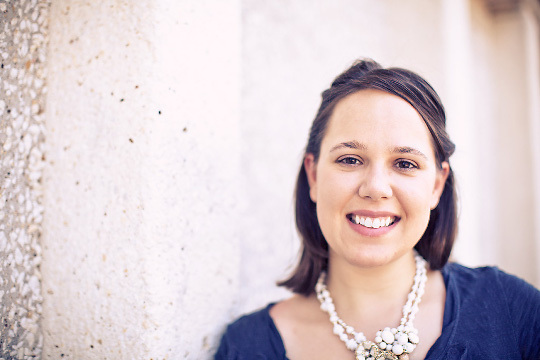 yay, it's me! How exciting. The photography on this page is gorgeous! You did such a wonderful job, I hated the thought of guests opening their envelopes and throwing them away! !